Thank you Softsoap® for sponsoring this post. Our letter K craft for preschool is the latest addition to our letter of the week crafts and we had a blast making it together! You might know that we love crafting around our house, but it has to be easy when we do it! That’s why we love our easy letter crafts! They’re fun to do with the kids when they’re starting to learn the alphabet and developing an interest in reading! 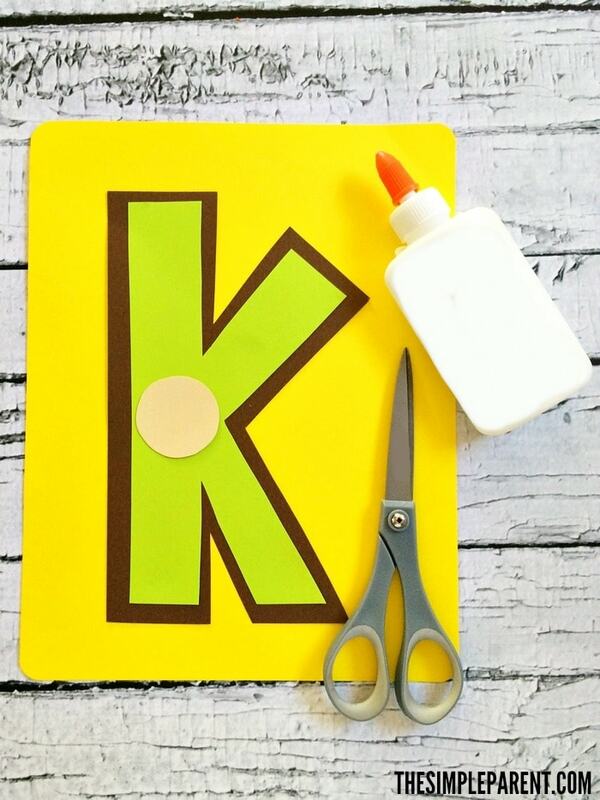 When it comes to making crafts like our letter K craft for preschool, it’s all about keeping it simple. Every step of the way, I like to keep it easy. I wish I could say that keeping it simple means things like less clean up and less mess, but that is not always the case! We always start our craft time by getting out all of the supplies we need to make our letter k kiwi craft and then washing our hands. I’ve learned through experience that washing hands before crafting means you don’t end up with as many weird things like specks of dirt where they aren’t meant to be or dirty little fingerprints in the middle of your clean white sheet of construction paper! 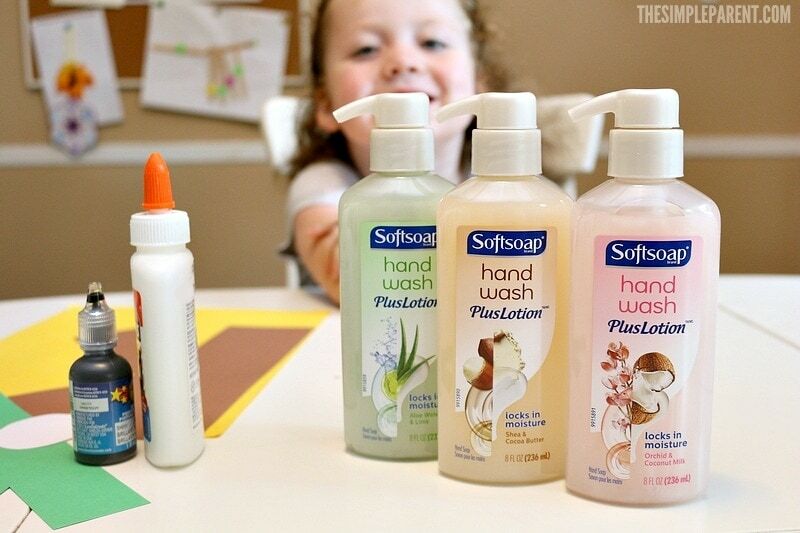 Using Softsoap® Hand Wash Plus Lotion™ Liquid Hand Soap is now part of our crafting routine so we can avoid any preschool meltdowns because a piece of paper is dirty before we start! 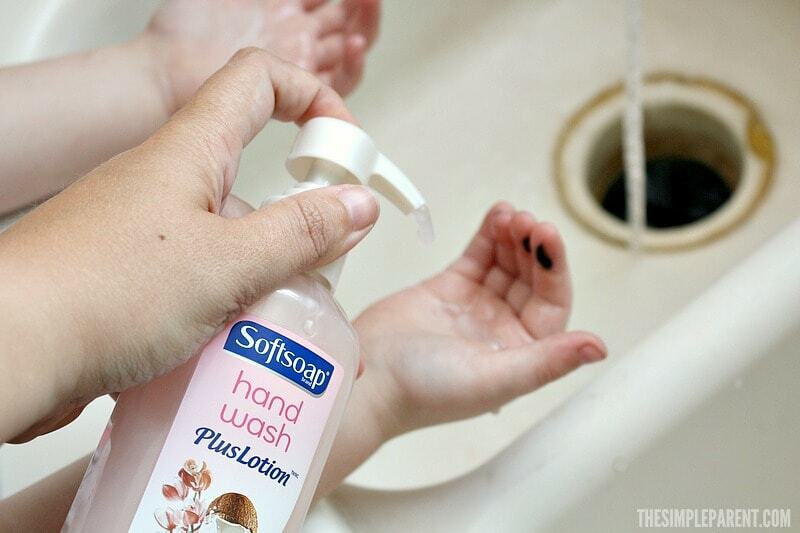 While the kids just enjoy washing their hands, I love Softsoap® Hand Wash Plus Lotion™ Liquid Hand Soap because it’s made with a touch of lotion to lock in moisture for clean, soft hands. I love the way it leaves my hands feeling! 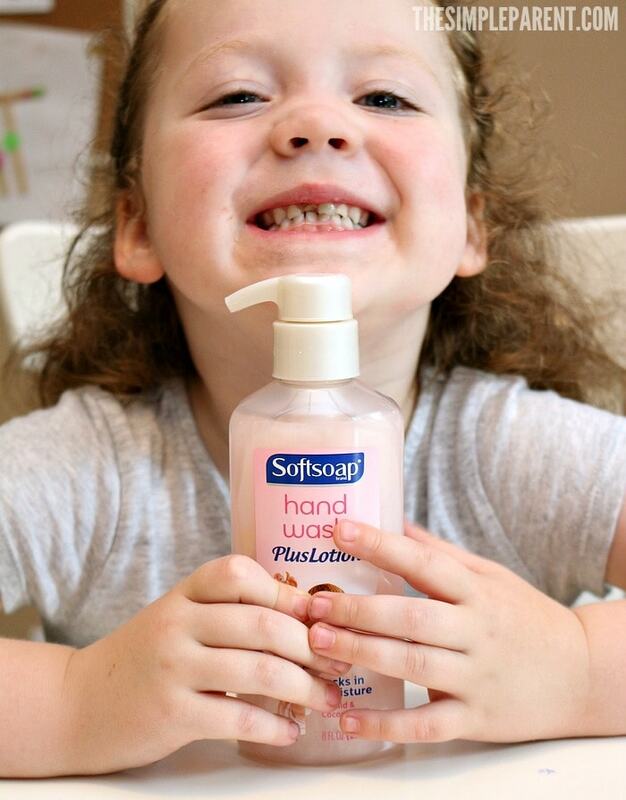 Carrigan has claimes the Orchid & Coconut Milk Softsoap® Hand Wash Plus Lotion™ Liquid Hand Soap for herself! 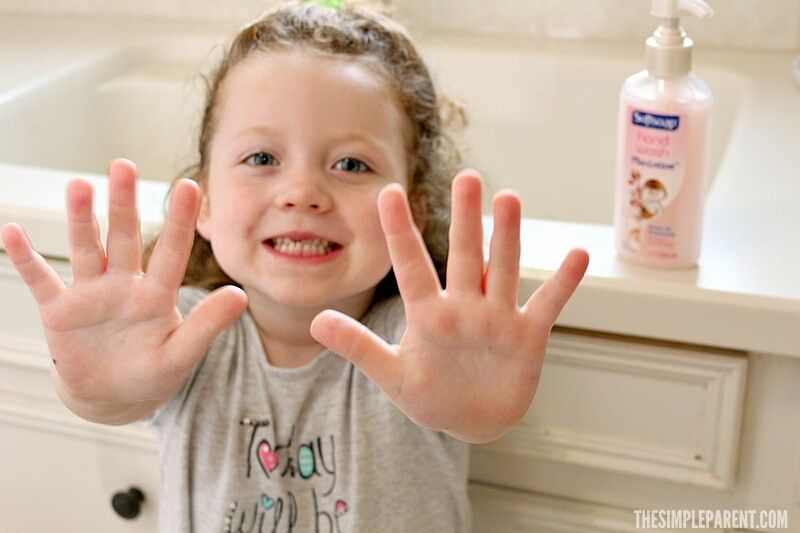 But I love that it makes her even more eager to wash her hands before we get started making our letter k craft for preschool! Cut a K out of the sheet of green paper. Place the K onto the brown paper to use as a stencil. 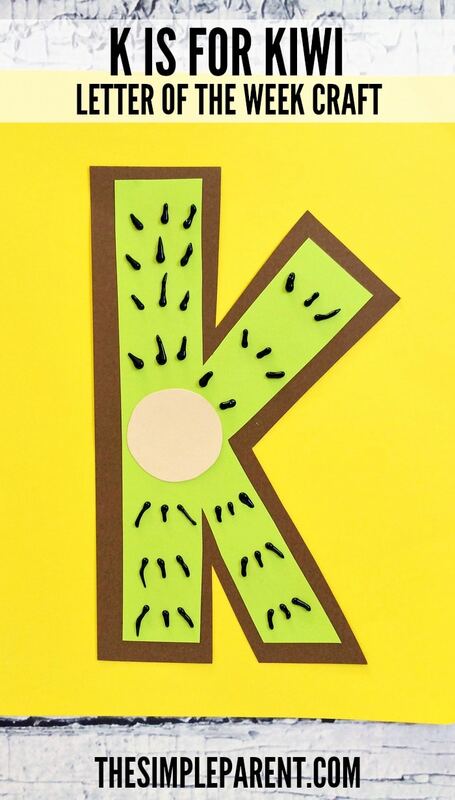 Cut out a slightly larger K from the brown paper. 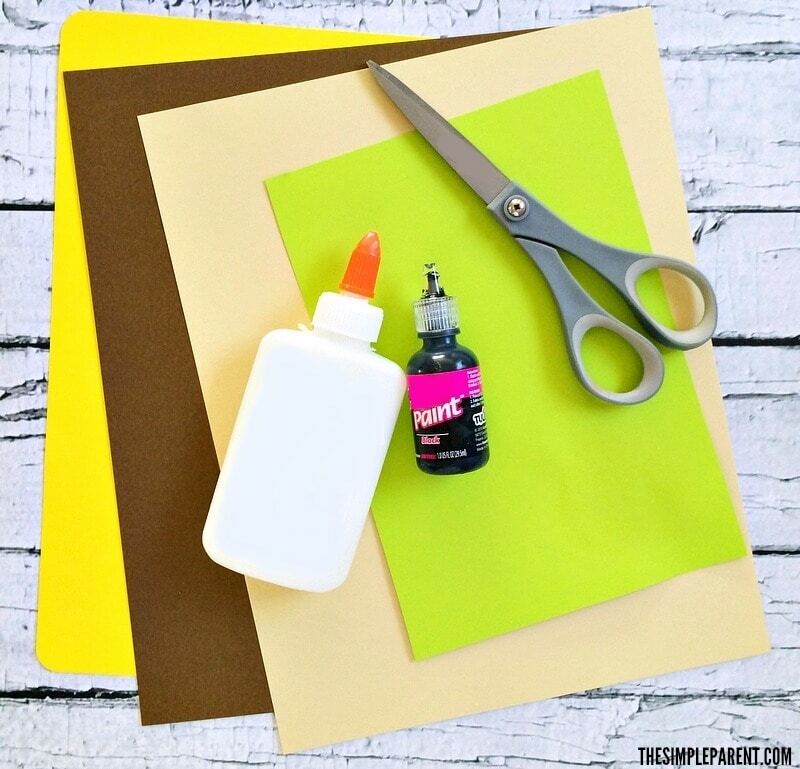 Glue the green K onto the brown paper K.
Then glue the double K onto the yellow paper. 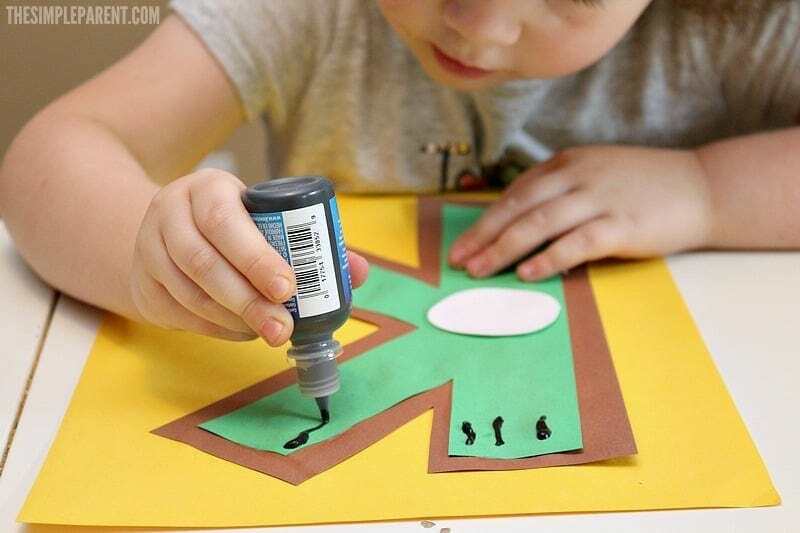 Cut out a small circle from the cream colored paper and glue to the center of your K.
Use the black 3D paint to paint little seeds all over the green K and let it dry! No matter how careful we are, crafting with young kids always leads to some kind of mess! 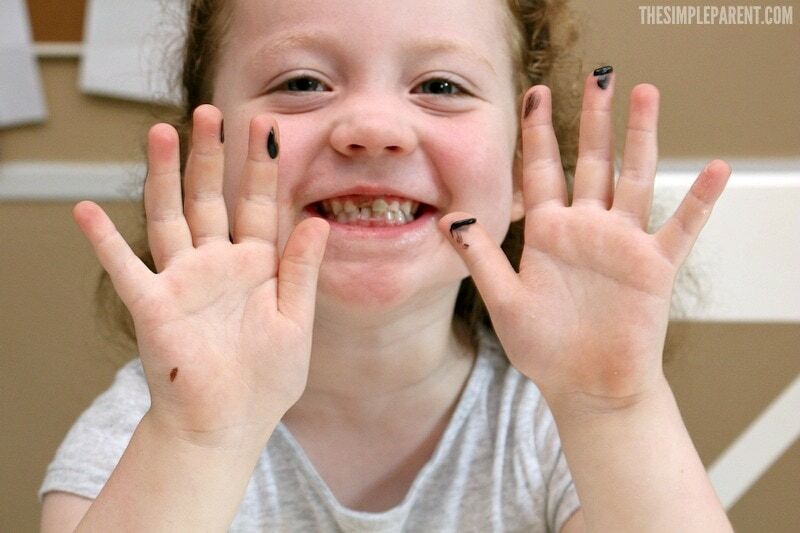 But I like to consider that part of the fun because the kids always love getting messy! It’s fun to see how proud Carrigan is of her craft creation when she’s all done! Letting her get hands on with things like letter k preschool activities helps her really learn and express her creativity! Since she loves getting all cleaned up after we’re done making our letter K craft for preschool, it keeps things pretty easy around here! The unique formula in all of the Softsoap® Hand Wash Plus Lotion™ Liquid Hand Soap variants hydrates and softens skin leaving your hands irresistibly soft and smooth.